CFD Brokers do not offer you to buy real crypto currency. Instead, you trade contracts on the price of certain crypto currencies - but you never really own the currency, nor can you withdraw it ( there are some exceptions). Trading on CFD brokers is basically betting on the price of a crypto currency without owning it. This has upsides and downsides. You do not need to care about wallets or understand anything about the currency to trade it. Also it might have some tax benefits in your country. But you won´t get a lot of the benefits owning and trading real crypto currencies has. Getting airdrops and benefiting from forks for example. Also you will not gain knowledge about the technology which will change the world like you can not imagine it. Exceptions are Bitmex and Deribit which are crypto CFD brokers - you can deposit and withdraw crypto currency here. CFDs are complex instruments and come with a high risk of losing money rapidly due to leverage. 73% of retail investor accounts lose money when trading CFDs. You should consider whether you understand how CFDs work and whether you can afford to take the high risk of losing your money. CFD stands for Contract for Difference and it is a form of derivative investment and trading strategy. The main idea behind using CFD trading is to benefit from the price changes of the underlying asset without actually owning it. The term Contact for Difference means the difference between the prices where the trader enters and end a transaction. CFD trading is facilitated through brokers where the broker often offers margin opportunities as well to the clients to increase leverage and to be able to speculate more on the underlying asset. When a trader enters into a CFD trade, it initially starts with a loss due to the spread gained by the broker. In order to gain profit on the CFD position, the price movement must exceed this spread, so the future expectation of the trader should be that the price of the underlier moves up or down at least that much which will cover the cost of the spread. It is important to highlight and in case of a CFD position, the trader does not own the underlying asset. It can be thought more of like a contract between the broker and trader, where the broker agrees to pay the difference between the beginning and end price of the deal. There could be a variety of reasons why traders might not want to own the underlying asset directly from regulatory aspects to trading strategies. The most popular reason for having CFD positions is to benefit from high leverage opportunities. On the market of the underlier (which can be anything from stocks, bonds or cryptocurrencies) usually, the amount of available leverage is limited by the nature of the product. However the margins on CFDs are much higher as brokers may decide on their own how much leverage the offer to clients, they are not bound to any regulated markets. With the help of leverage the amount of profits can be easily multiplied – and at the same time, losses accumulated can be significantly more as well compared to owning and trading with the underlier. The contract for differences trading options is getting more and more popular on the market. Both long-existed and brand new brokers emerged on the cryptocurrency market to offer CFD trading opportunities to clients. Since CFD trading is more like a contractual type of relationship between the client and the broker, not a buy-and-sell type of transaction, ordinary broker agencies picker up Bitcoin and other cryptocurrencies to their product list relatively quickly and easily. The most important aspect of cryptocurrency CFD trading relates to the nature of CFD contract as described above: if you engage in a cryptocurrency CFD trade, you do not own any cryptocurrency. You can only benefit from the rise and fall of the price. The other important point to look for when evaluating CFD brokers is to understand where the broker is sourcing their prices. As the main idea behind a CFD trade is to pay out the price difference between the start and the end of the trade, it is crucial to understand and verify the broker uses reliable trading data to show and execute prices. If the broker manipulates the prices, no matter how good your expectation was about future prices movements, it is possible you may never be able to benefit from it with a broker who is not using fair cryptocurrency prices. As at the moment there is no official source for cryptocurrency prices, it can be challenging to be able to verify if the prices offered by the CFD brokers are valid. There are various reasons why traders enjoy and prefer cryptocurrency CFD trading over actually buying and selling cryptocurrencies. The most popular reason for choosing CFD trading is that a lot of people are afraid of the technical side of cryptocurrencies. Some feels intimated by opening wallets or verifying identity on cryptocurrency exchanges. On the other side, CFD brokers are well prepared for new joiners and have established, easy to set up accounts. This can be a very appealing point to those clients as well, who already use CFD brokers for other products and just would like to benefit from the price movements of cryptocurrencies as well, just like for example from gold or stock trading. As in case of CFD trading, the client does not actually buy or sell cryptocurrencies, it is much easier to react quickly to market movements. The transaction on the broker’s trading platform is executed immediately, while for cryptocurrency transaction – depending on the coin and the capacity of the blockchain – it can happen that transactions stuck for a couple of hours or days on the blockchain, which prevents the traders to benefit from rapid market changes. One solution to this is to keep coins on exchanges to be able to transact quickly, however, this involves risk, as well as hot wallets on exchanges, are often exposed to hacking attacks. 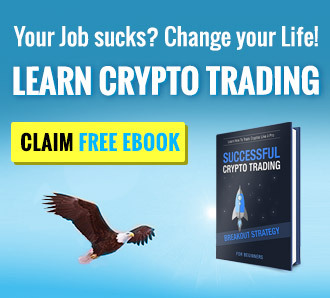 So at the end, CFD trading offers a quick opportunity to exploit intraday market movements on cryptocurrency prices. Cryptocurrency CFDs offers the opportunity to benefit from high leverage. Although the price changes of cryptocurrencies are already considered much higher compared to ordinary assets, with the use of margins the possible profits can be multiplied significantly. Before engaging in cryptocurrency CFD trading, it is worth to look at the disadvantages that this derivative instrument has. CFD trading comes with a price. The cost of a CFD trade is the spread between the buying and selling prices the broker offers at any given time. The broker buys the cryptocurrency at a lower price from the client and sells at a higher price. This spread is the profit of the broker who is the market maker on both sides. This also means that at the time you enter into a cryptocurrency CFD contract, you will initially experience losses, up until the point where the price movement has been great enough to cover the spread. Because of the spread, the expected price movement usually needs to be higher compared to the price movement which covers the trading commissions. Using CFD brokers for cryptocurrency trading need a significant amount of trust. You need to verify and make sure the prices you see on the platform follows the general market movements or even better, directly sourced from an exchange. There have been rumors in the past about some brokers which may have manipulated the cryptocurrency prices for their client, which caused them to experience unnecessary losses. During cryptocurrency CFD trading you can benefit from the fluctuation of cryptocurrency prices quickly with high leverage. However, as you do not own directly any cryptocurrencies you have to trust the broker you use for CFD trading both in terms of payouts and prices. Make sure you select a CFD broker wisely.